Jasper Morrison Designed. Built to Lamy Specs. 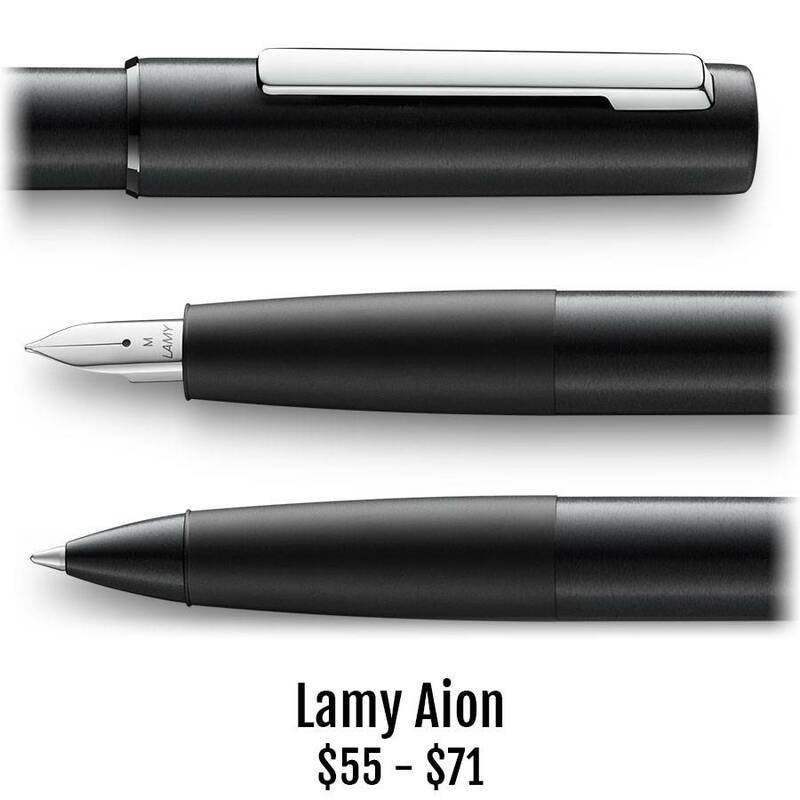 The Lamy Aion attains a completely new level of quality in this popular price point. Each element of its seamless aluminum body infers a uniquely harmonious appearance. The body and cap feature an attractive brushed finish which contrasts the Aion’s matte finished grip and its glossy nib and polished clip. The pen’s cap is complemented by its spring - loaded clip with the Lamy logo embossed on the side. The range’s fountain pen has a stainless steel nib with a new contour – an expressive element which blends in perfectly with the overall concept of the Aion, designed by Jasper Morrison. The Aion is also available as a ballpoint pen and roller ball pen.